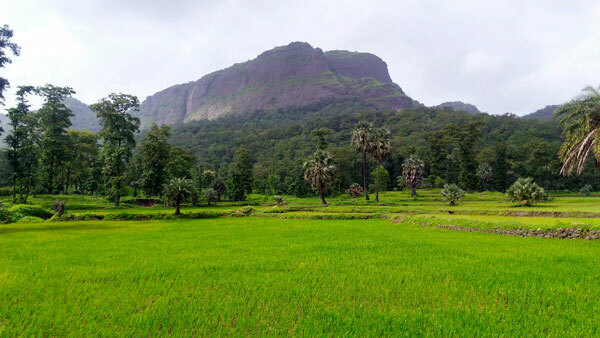 Asherigad Fort was built by the Bhojraja of Shilahara dynasty. 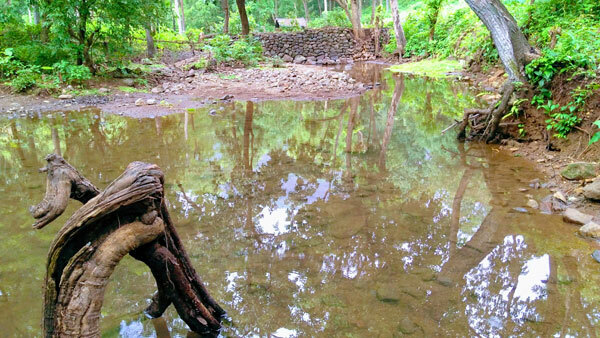 This fort was captured by Bimb Raja of Mahim (Palghar)from Kolis. This fort is about 800years old. It was ruled by Gujrat Sultanate. The Portuguese captain of Bassein, Antonio Moniz Barreto annexed the Asherigad in 1556, after bribing the Abyssinian captain who commanded the fort. To reach Asherigad fort from Mumbai connectivity of Public Transport is Good. Reach Palghar Station on the Western Railway line of Mumbai. Direct Trains are available or else you can opt to come to Virar and then change the train for Palghar. Take any Bus going towards Manor / Wada and get down at Mastan Naka, then opt for Sharing Rickshaw or Van to Khodkana village which lies 1km inside from the highway. 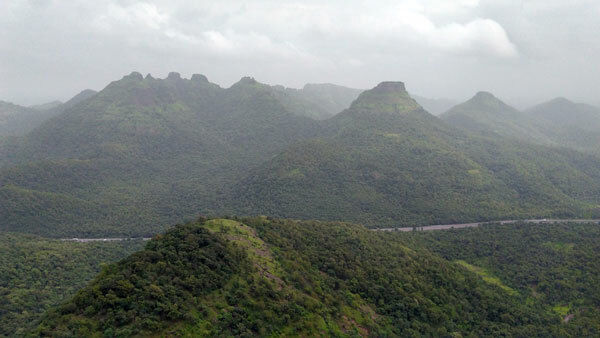 Take the NH8 Highway, once you reach Mastan Naka you have to go straight for another 10 km and to your left, you would see a board for Asherigad Fort. The village is Khodkona. Throughout the year in the Water cisterns. Fortification of the fort, A Temple at the top, Water tanks on the top, Amazing Pinnacles once you go ahead of the temple on the fort. I was planning to visit Kohoj Fort but at the last moment opted for Asherigad. I started my journey from Bhayander station by boarding 05:57 AM train to Dahanu Road and alighted at Palghar station and straight away headed to the bus stand to reach Mastan Naka, From here I got a sharing Rickshaw quickly going towards Khodkona Village. 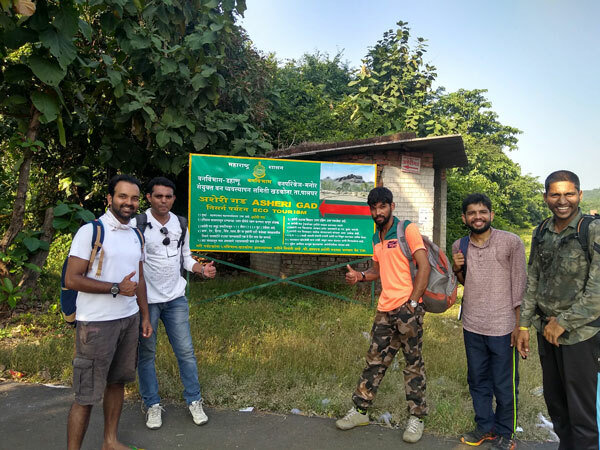 We got down on the highway and walked towards the village which is 1km away, the trail for Asherigad was well marked till the top and there was no chance that we would have lost there. After 60 minutes of a hike we reached a point from where we took the route to our right and climbed a ladder upwards were we saw old monuments near the trail walk. Once we reach the top we slept for one hour outside the temple and then explored the Fort and returned back to Home. You can also visit Kaaldurg Fort. A fort with a trail to climb up… Good combination of trekking and watching historical monuments. Good job Gautam for exploring such places. Nice guide.. man! Keep it up! I like to see this in Marathi? 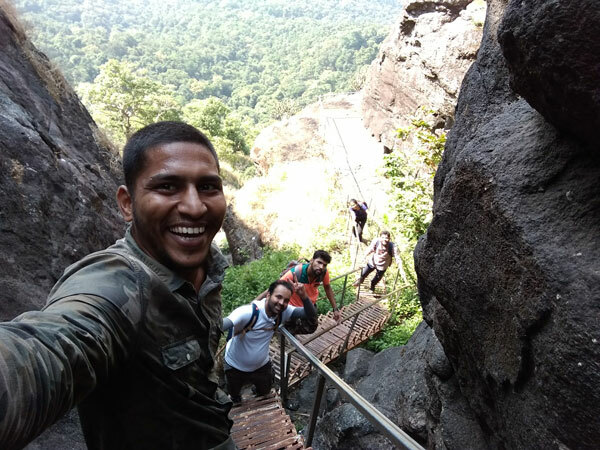 Trekking with trekraw has been an awsm experience. Full of enthusiastic and lively team members. Thank you trekraw team for such great memories and treks. Love to be a part of trekraw.